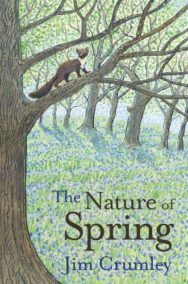 There is no denying that the longer days put a spring in the step of us here at BooksfromScotland. 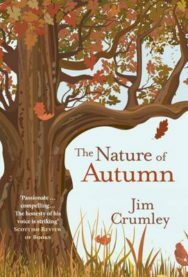 Nature writer, Jim Crumley, is writing a series of beautiful books observing the wonders of the seasons and speaks to BooksfromScotland about his appreciation of the world around him throughout the year. What is The Nature of Spring about and what are its big themes? 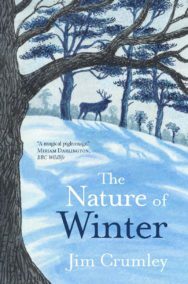 It’s the third in a quartet of books about nature through the seasons. The series began with The Nature of Autumn in 2016 and The Nature of Winter in 2017, and I am about to start work on The Nature of Summer, so it will be a sustained five-year project of nature writing from beginning to end. The approach is simple – to keep nature’s company as the seasons wash over and transform familiar and unfamiliar landscapes. In the case of The Nature of Spring these include islands as diverse as Yell in Shetland, Colonsay and Lindisfarne, and Highlands and Lowlands from Loch Tulla and Rannoch to Glen Clova, the Trossachs and the Ochils. By choosing the landscapes carefully and being still in them, and by listening to the land, my aim is to invite nature to confide some of its secrets, then I try to write them down. Simple! Climate change courses through all the books, it is unavoidable in an endeavour like this. And so does that idea of listening to the land, paying attention to what nature is trying to tell us. What epitomizes spring in Scotland for you? The miracle of purple saxifrage! It appears in bunched fists of startling purple flowers high in the mountains, often overcoming snow and ice and rock in the process. The Gaelic name is clach-bhriseach purpaidh , “purple stone-breaker”. Whoever came up with that had a fine sensitivity to the wonder of spring in the mountains. 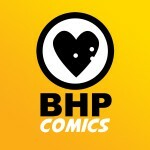 Why did you decide to embark on this series of four books? I didn’t! I had wanted to write a book about autumn which is my favourite time of the year. Once I found the space to write it, my publisher Sara Hunt at Saraband thought a quartet would be a good idea. I needed persuading, but both she and my literary agent Jenny Brown were enthusiastic and I always listen to such sage counsel, but don’t tell them I said that. Once I was locked into the series I began to appreciate the colossal scope it offered and I became a convert. You often write about your “nature writing territory” in your work. Where is it and what do you mean by the term? It extends from the upper Forth valley in the south to Glen Dochart in the north, embracing Flanders Moss, the Trossachs, Balquhidder Glen, and as far east as the western edge of the Ochils. It’s a rich mix of habitat, it binds Highlands and Lowlands together, and it’s on the doorstep. It is where I do much of my day-to-day fieldwork between forays further afield, and I have known it for 40 years. It is a good thing for a nature writer to know a landscape intimately. It teaches me about nature’s priorities and rhythms, and if something new happens I learn about it quickly. And the knowledge acquired is transferable when I travel all across Scotland and occasionally beyond. 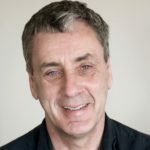 You’ve been a nature writer for more than 30 years. What changes in Scotland’s wildlife and landscape have you seen in that time? The bad news: a hardening of Victorian attitudes that still characterise too much privately owned estates, where creatures like mountain hares, foxes, wildcats and birds of prey are treated contemptuously; farming practice that thinks nature owes it a living instead of the other way round (the treatment of beavers by Tayside farmers has been appalling); the wildcat is about to become extinct if it isn’t already, because people have failed it at every level – habitat destruction, persecution, and even conservation efforts have been disastrous. The good news: consolidation of breeding populations of osprey, red kite, sea eagle, pine marten; beaver reintroduction, native woodland restoration, land reform (especially community ownership), a surge in golden eagle numbers. Now, let’s get serious about a second spring for the wolf.